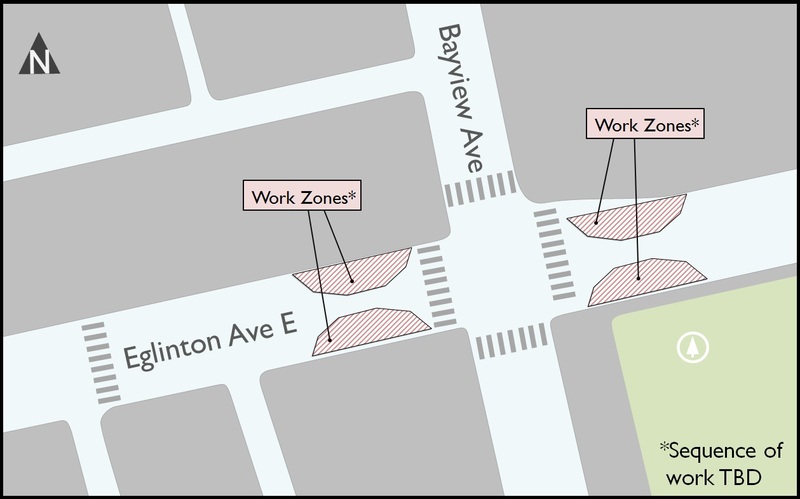 Toronto Hydro crews will be relocating overhead Hydro utilities at the intersection of Bayview Avenue and Eglinton Avenue East ahead of headwall construction for the future Bayview Station. If you would like more detail about this work or any other aspect of the Eglinton Crosstown project, please do not hesitate to contact us . We thank you for your continued patience as we work to build this important project.